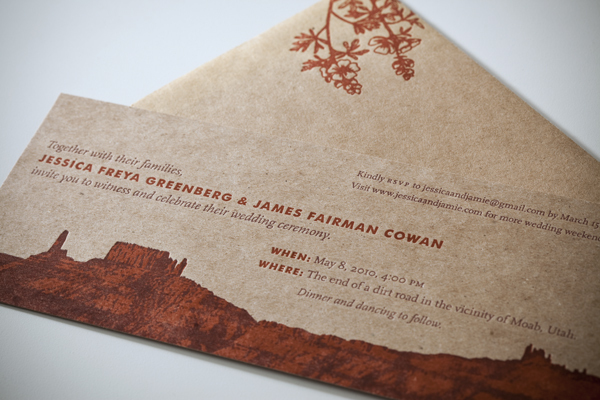 This unconventional wedding took place in the breathtaking desert of Moab, Utah. Decidedly unfrilly, the invitation reflects the vibe of the event: the bride and groom registered at REI and guests were given gear lists. 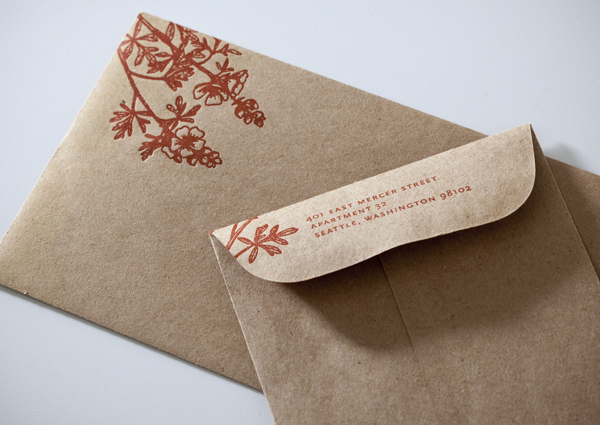 It depicts the exact view from the ceremony site, and wrapping the flap of the envelopes are native globe mallow. 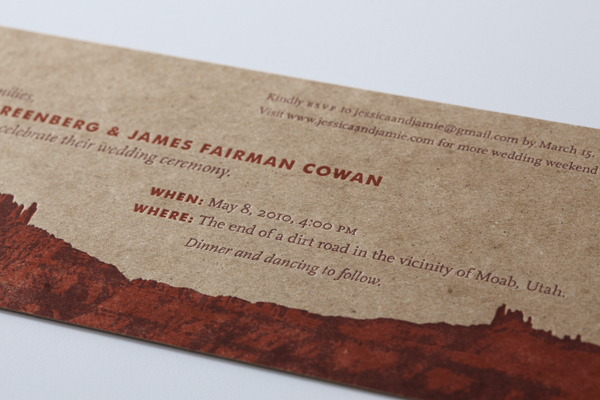 Printed on inexpensive, industrial chipboard in two colors with kraft envelopes, this cost-effective wedding invitation omitted reply cards in favor of soliciting RSVPs via email. Have you ever seen a better use of Cooper Black? The bride was a professional mapmaker. Goodbye old business cards! Your design is so 1999. Letterpress printed coasters celebrating the work of Stern & Faye, Printers. Another successful custom publishing collaboration with author Scott McCredie. High-end book design & custom publishing. The most luxurious calling card ever printed.